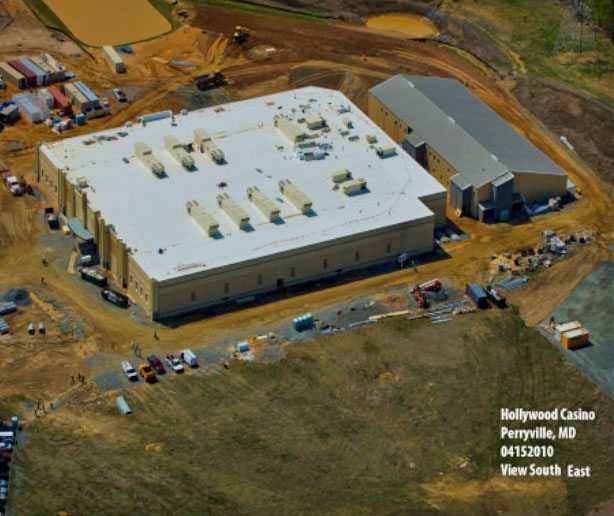 Taylor Wiseman & Taylor provided engineering and surveying services for the Hollywood Casino Perryville (Maryland) project situated along Route 222 in the Town of Perryville, Cecil County, Maryland. The site was formerly a sand and gravel mine requiring major soil remediation to permit the current use. TWT’s services included design and preparation of complete land development plans, construction documents, and construction management for the land improvements at the 90,000 SF casino and support building. TWT services included engineering, surveying and environmental services in connection with obtaining all land entitlement approvals for improvements including site layout, vehicular and pedestrian circulation, signage and traffic control, soil erosion and sediment control, grading, storm drainage design, stormwater management facilities, landscaping, lighting, sanitary sewer system, and potable water system. Offsite improvements were designed for widening along MD Route 222 and access ramps to Interstate 95, replacement of offsite 15-inch sanitary sewer and rehabilitation of two 500 gpm wastewater pumping stations. Land development plans also included design of approximately 2,400 feet of a new collector road, named Chesapeake Overlook Parkway, which provides access to the casino and other future developments planned for the Chesapeake Overlook Commercial Entertainment Mixed Use Development. 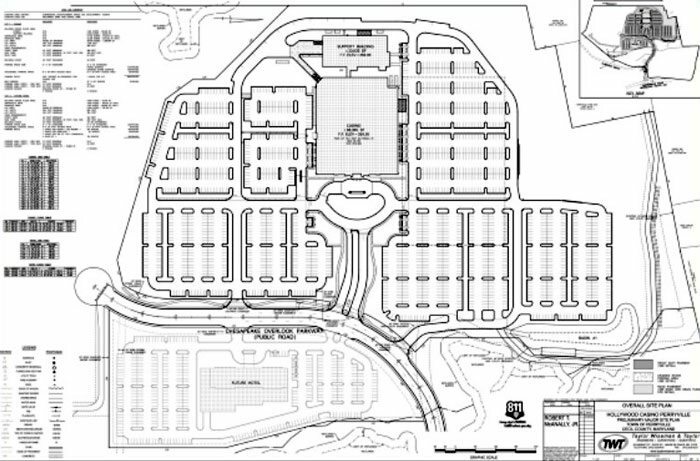 Parking facilities were designed to accommodate the proposed casino and entertainment facilities and included 1,800 total spaces for cars, buses and trucks in ten separate parking fields interconnected with drives and proposed access points along Chesapeake Overlook Parkway. The parking facilities include innovative design for bio-retention areas disbursed throughout the facilities in order to provide the necessary water quality and recharge of stormwater runoff to comply with the 2000 Maryland Stormwater Design Manual. Coordination with the client’s general contractor, highway design team, and architect was imperative in order to meet the aggressive construction schedule. 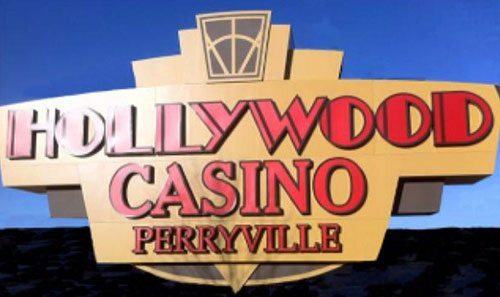 The facility opened 30 days in advance of the planned opening date and was the first Video Lottery Terminal Casino in Maryland.